The spelling bee was hosted by Associated Superintendent of Academics Fonda Harrison and organized by Hannah Samples. A total of 31 students qualified for the bee by placing first in their respective schools during the fall semester. The caller of the competition was attorney Kevin Tallant. He was joined by Derek Broooks, Forsyth educator Greg Orr and retired educator Amanda Wilson as judges. Faculty member who had coordinated the competition were also on hand for support. 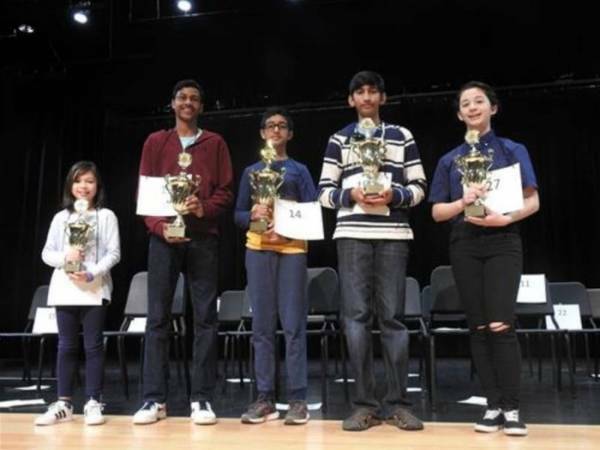 Fifth grader Aadhav Thaniga from Kelly Mill Elementary placed first, eighth grader Monish Jampala from Lakeside Middle placed second and third place was eight grader Jasmine White from Vickery Creek Middle School. The title of alternate was given to fourth grader Megan McGrath from Shiloh Point Elementary. Thaniga, Jampala and White will represent Forsyth County in the Region Two spelling bee at Sewell Mill Library and Cultural Center in Marietta on February 23rd.